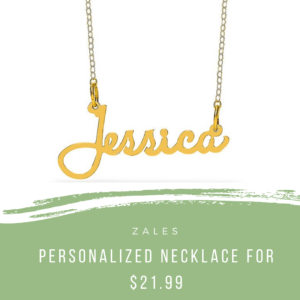 Zales has a great deal available! 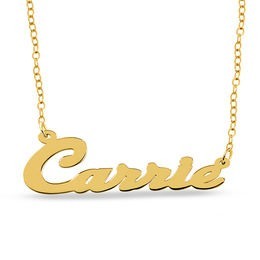 Use the coupon code ZAFFSLANTNECKGP to get a personalized necklace for $21.99 (reg. $79). Another option: get the Script Name Necklace in Sterling Silver (Regular $99) for $19.99 w/ Code ZAFFSLANTNECKSS.